Ray H. Manson, IRE President, 1931, was the chief engineer for the Stromberg-Carlson Telephone Manufacturing Company in Rochester, New York. He also received over fifty U.S. patents relating to the telephone, phonograph, and radio. Manson was IRE president in 1931. Ray H. Manson was born in Bath, Maine, on August 25, 1877. He graduated from the University of Maine in 1898, and received the E.E. from the same institution in 1921. The year following graduation he was an assistant in the Electrical Engineering Department of the University of Maine. In 1899-1900 Mr. Manson was employed in the Telephone Manufacturing Department and the Electrical Laboratory of the Western Electric Company in Chicago. From 1901 to 1904 he was in the Engineering and Sales Departments of the Kellogg Switchboard and Supply Company at Chicago. During the period of 1904 to 1916 Mr. Manson was connected with the Dean Electric Company and its successor, the Garford Manufacturing Company, at Elyria, Ohio, the latter four years being Chief Engineer. Since 1916 he has been Chief Engineer of the Stromberg-Carlson Telephone Manufacturing Company at Rochester, New York. During his association with the manufacturing business over fifty U.S. patents on telephone, phonograph, and radio subjects have been granted him. Mr. Manson has been active in radio standardization work in the Radio Division of the National Electrical Manufacturers' Association. He is Chairman of the Technical Committee of that organization. For several years he has been Chairman of the Electro-Acoustic Subcommitee on the I.R.E. Committee on Standardization. 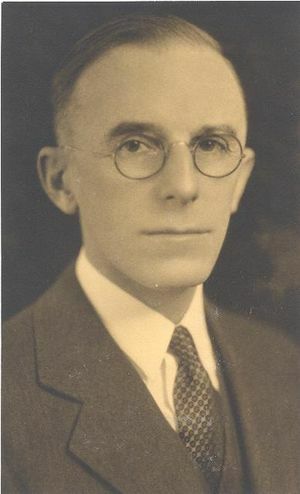 Mr. Manson was appointed a Manager of the Institute by the Board of Direction in January of 1927, and was electrd by the Membership to the Board for a three-year period on January 3, 1928. He is a Member of the Institute, a member of the American Institute of Electrical Engineers, and a Member of the Society of Automotive Engineers. This page was last edited on 24 February 2016, at 15:37.